Mindfulness is a natural remedy for anxiety, stress,and worry. Mindfulness helps increase happiness, peace, and joy. Sound good? A simple definition is very difficult… experiencing it is easier than describing it. Mindfulness is a way of being…being mindful. It involves focus and attention on only what is happening in the here and now. It’s about noticing the present moment. You’d be surprised how many moments of your day go by WITHOUT your conscious attention to the here and now. Ever had a time when you were driving and suddenly realized you missed or almost missed a turn, or that you were further along the road than you realized because you were driving on auto-pilot? At times like that, the body and the mind are doing two different things. Mindfulness means keeping the mind and the body together in the present moment. Unless you have a magic time machine, your body’s only choice is to be in the present moment. But your mind has the amazing ability to go to other places. Your mind can go to the future, worrying or anticipating what may or may not happen. It can also go to the past, rehashing what already happened, wondering if you did the right thing, guessing what other people thought, reliving a positive or negative experience. Stress and anxiety often result when the mind goes somewhere else. This is why I incorporate mindfulness into my anxiety treatment work with clients. Zen Buddhists have known this for centuries. Western medicine is just now realizing the value of mindfulness for anxiety disorders. Mindfulness often begins with slowing down and consciously focusing your attention on what you can notice in the here and now with your senses: seeing, smelling, tasting, hearing, touching. The mindful “observer” can simply notice physical sensations, and then begin to observe thoughts and feelings as well, all without judging or analyzing. Observing your thoughts and emotions in a non-judgmental and accepting way helps you approach stressful situations more clearly and in a mindful (i.e. not mindless) way. Rather than have an automatic anxiety reaction to a distressing event, you will be better able to mindfully choose a more objective response. There are many different ways to practice mindfulness. Mindfulness can involve a formal practice, and it can also be integrated into many of your usual daily activities. A formal practice might mean setting aside time for a sitting meditation or mindful movement practices like walking meditation or yoga. However, this is not necessary. Mindfulness transforms stress and anxiety when it becomes a way of life… a way of being where you are truly present in the moments of your life. You must be present to love. You must be present to experience peace or contentment. You must be present to feel pure joy. Moment-to-moment mindfulness involves a relaxed state of awareness, noticing your inner and outer worlds without judging or trying to control anything. This state of being requires commitment and lots of practice. Ever eat when you’re stressed? Eat when you’re not really hungry? We’re actually hard-wired to eat when we’re under stress or anxiety. This comes from the brain’s evolutionary process, from a time when fight-or-flight was a necessary daily survival skill (think Cave People). The energy gained from the extra food calories could help the body react and survive. Our brains still have that old wiring that unconsciously tells us to eat when we feel stress. And every time you go for that candy or chips (or fill-in-the-blank with your stress-food of choice), you reinforce that wiring. So is it food you are really craving? Do you often eat when you’re not physically hungry? Does your hunger come on suddenly? Do you crave specific foods (often times, carbs or sugar)? Do you want to eat when you’re upset, lonely, sad, worried, bored, or irritable? Do you sometimes feel a sense of regret or guilt after eating? Do you find yourself eating unconsciously (and suddenly surprised at what or how much you just ate)? 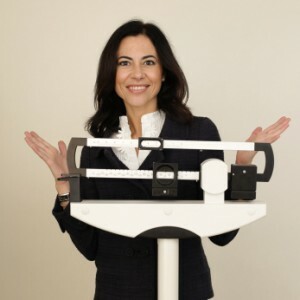 Have you been on lots of diets and put lots of energy into losing the same weight again and again? Do you feel like even though you just ate, you still want more? No matter what you weigh, if you often eat when you aren’t hungry and any of the above questions ring true for you, you are using food to fill other needs. There is never enough food to make upsetting situations or feelings disappear. There will never be enough sweets to make sadness or boredom go away…never enough snacks to make anger or stress go away. Therefore, emotional eating never satisfies. Problem #1: Using food as a means to feel better about a situation or about yourself. This is comfort eating. If you do this, then comfort is what you really crave! Problem #2: There’s a good chance you’re not even aware of why or how you use food for comfort. It’s a subconscious and automatic behavior pattern. You may not know which emotional states cause you to reach for food. 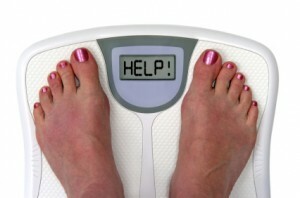 ==> Resolve the underlying issues that cause you to use food for anything other than physical hunger. 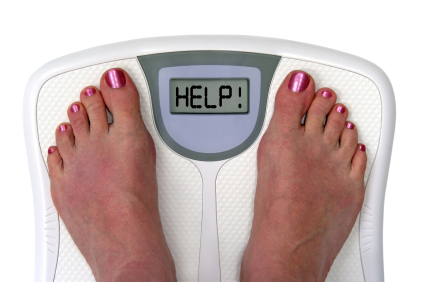 This is the real solution to ending emotional eating, ending battles with your weight gain, and ending yo-yo dieting. We make about 200 choices a day about food and we’re only aware of about 25, according to Brian Wansink, author of Mindless Eating. You’ve got to get real with yourself by increasing your awareness of what you’re eating and why. It’s a wonderful opportunity to get connected to your own body and understand more about both your physical needs and your emotional needs. Then you can consciously choose healthy and supportive ways to fill the real “craving” of the moment. Maybe you’re going for chocolate when what you really crave is to feel respected. Maybe you’re eating too much ice cream when what you really crave is to have a friend to be there for you. Maybe you’re finishing off the bag of chips when what you really crave is to feel like you’re not a failure. Know the difference between physical hunger and emotional hungers. Keep a food log: what, when, where, why are you eating? What is your emotional state when you eat? Ask for help. Emotional eating is automatic and subconscious, so it’s often hard to identify the emotional component of your own eating patterns without a little help. Interrupt emotional eating and ask yourself: why am I eating now and what am I really craving? Learn new tools for dealing with stress and emotional upsets in healthier ways. Have the courage to get real with yourself and you can transform your relationship with food (and with yourself) forever! This is a question near and dear to me right now, having recently returned from a 10 day meditation course. I learned Vipassana meditation, a technique taught by Buddha 25 centuries ago as part of his path to enlightenment. For 10 solid days, I meditated for more than 10 hours a day. WOW! I was taught a very specific technique to calm the mind by disciplining it to focus on the body. In this way, meditation is mind-body technique, a mindfulness technique. I find this particular technique of Vipassana meditation very deeply calming for my mind, allowing the space for inner peace. I also had a huge healing of a physical issue in my body, but that’s a topic for another day. Calming and quieting the mind is such a challenge! 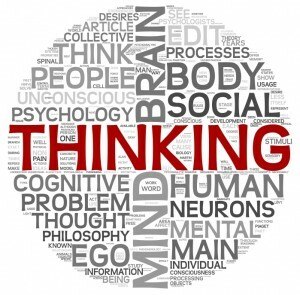 Our amazing minds are constantly thinking, thinking, thinking. Going, going, going. It’s no wonder that anxiety starts in the mind. There are many types of meditation. I took a 3-day Neuroscience training course on dozens of different techniques and research now shows which types of meditation cause specific changes in brain chemistry. Way cool. But the bottom line is that all types of meditation have the effect of calming the mind. This makes meditation a perfect tool for relief from stress and anxiety. Like every other technique to reduce stress and anxiety, meditation benefits only come when you actually do it consistently. Like brushing your teeth only helps keep plaque away if you do it regularly. Meditating regularly literally changes the way your brain works. It’s about changing the habitual way that your mind operates that causes stress and anxiety. Meditation literally changes your brain waves. The goal is to slow down the brain waves. The more time there is between thoughts, the more peaceful you feel and the more opportunity you have to consciously choose your thoughts and actions (rather than respond out of stress or habitual old patterns). The time invested in regular meditation practice will actually make you more effective and decisive and more productive with the rest of your time. Not to mention happier! What a great investment. 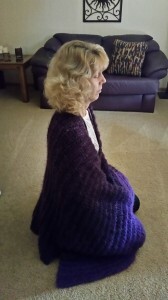 Because the brain is so used to being busy and going 100 miles an hour in all different directions, it’s very difficult to just sit down and say “I’ll just meditate now” without learning a specific meditation technique. If you just decide one day to sit quietly and “do nothing,” you will find that your mind wanders nearly every second, and you’ll get easily frustrated and discouraged. So learn a meditation technique and practice that technique. No multi-tasking is allowed when meditating (that defeats the purpose!). With practice, your mind will eventually slow down. Be patient and know it is normal for the mind to wander. The goal is to slow it down, not turn it off – that’s not realistic. I teach clients many different mindfulness and meditation techniques, some of which can be done in as little as 30 seconds at a time. Others take 5 or 15 or 20 minutes at a time. Here’s an easy 3 minute meditation. Or you can try 3 guided meditations on my Less Stress Now CD. Just find a technique you like and stick with it. Yes, it’ hard for all of us to start a new habit, but talk to anyone who meditates and you’ll find out that the investment is well worth it. Having trouble making decisions? Does decision-making cause anxiety? Actually, indecision itself causes MORE anxiety than making a decision. 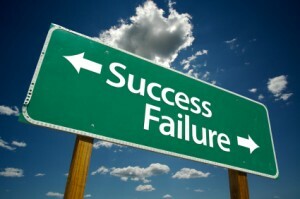 It’s the indecision that causes What Ifs, worry, second-guessing, and bad feelings that come along with feeling stuck. In most cases, it doesn’t really matter so much what you decide. Remind yourself there is never a “perfect” answer and rarely a “right” answer. In the big picture, there are many options that would serve you well. And ALL of them have both pros and cons. All or any one of them is usually better than no decision. As life unfolds, it will present you with many opportunities to decide again or make another choice. 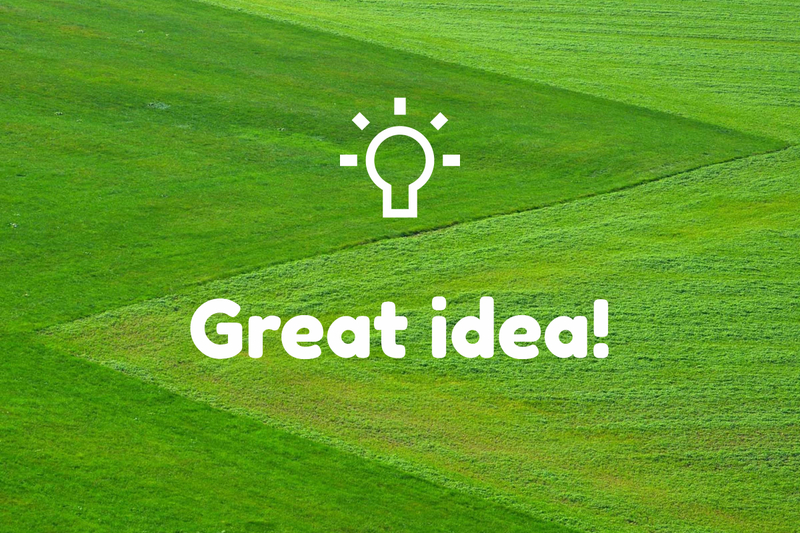 On the other hand, analysis paralysis is pretty much guaranteed to keep you going nowhere. It limits the capacity for life to unfold and bring you new possibilities and new joys. As soon as you make a decision, start complimenting yourself on the decision you’ve made. Be proud of yourself and tell yourself you’ve made the right decision. Thinking and feeling it is right is what makes it right. Do you dread change? Worry about the future? Fear the unfamiliar? Remember, fear is a natural human instinct. Your brain is wired to seek safety. Your brain isn’t sure whether new things or The Unknown things will be safe, so it goes on high alert…hence, FEAR and ANXIETY. Fear of The Unknown prevents us from taking charge, stops us from joyfully living life on our terms, and keeps us stuck in a rut (aka our comfort zone)…simply because it is the familiar thing to do. We don’t like the discomfort that comes with uncertainty. Did you ever try to control things to avoid that uncertainty? If only we could control everything, then there would be no uncomfortable uncertainty, right? The problem is that since it’s humanly impossible to control everything, trying to do so inevitably creates more anxiety! Ironically, the key to feeling more comfortable with uncertainty is to become more comfortable with the uncomfortable. 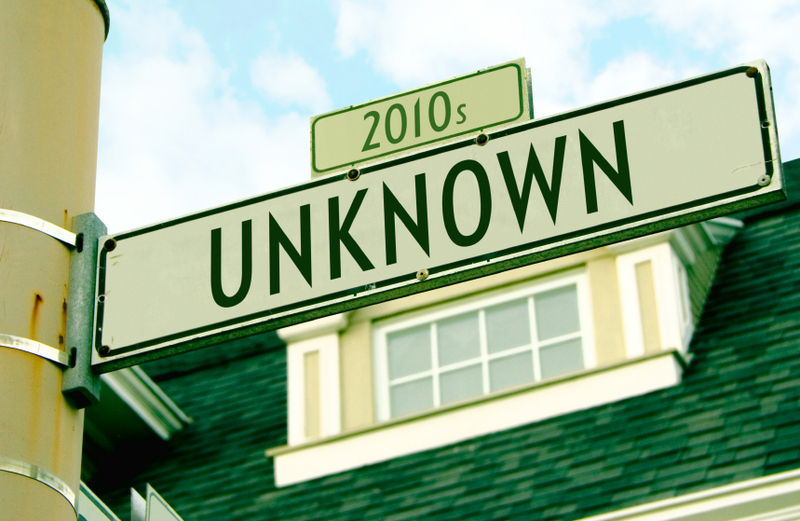 The key to overcoming fear of The Unknown is to increase your tolerance for uncertainty. Take an objective look at which aspects of the issue are IN or OUT of your control. Take action on things that are IN your control. There is always something you can take some positive action on right now. You can’t take action on things that are not in the NOW. So stay in the present moment and brainstorm your options for those things that you do have some control over. Having taken some positive actions will feel more in control, more centered, more comfortable. It will be easier to deal with the things that are out of your control when you can see that some things are actually in your control. For those things that are OUT of your control, see if you can increase your tolerance for uncertainty. We all need to build this skill because the truth is that many things in life are uncertain. If you dwell on them, they will control you. Learning to accept the inherent uncertainty and lack of control of certain aspects of life is one of the best ways to reduce anxiety. Learning to increase your tolerance for uncertainty is a way of feeling more comfortable facing The Unknown. It all starts with taking charge of your thoughts because thoughts come first and create feelings. Negative thoughts lead to negative feelings. Better thoughts lead to better feelings. 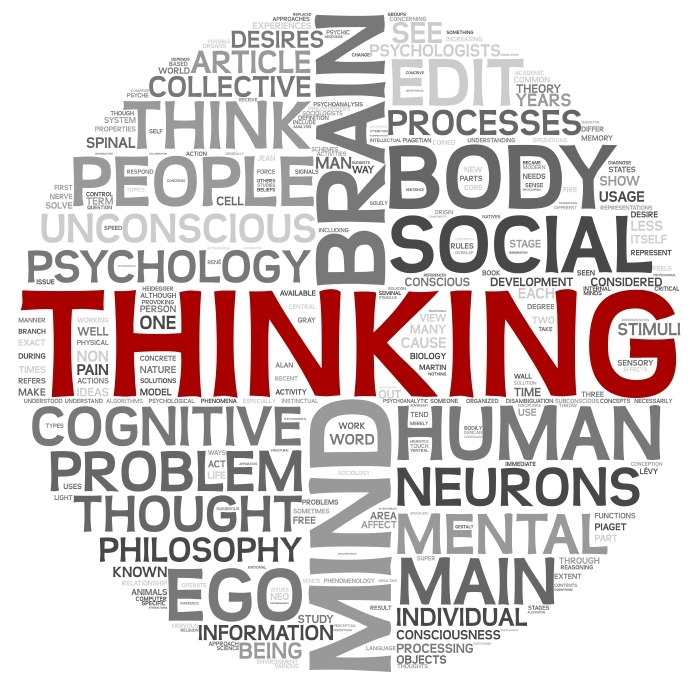 Cognitive Behavioral Therapy (CBT) is about retraining your brain how to think differently so you can feel better. Then I wonder why a Google search for “want to quit using Facebook” gets 281 million search results. Compare that to “want to quit smoking” which gets a mere 30 million hits. Facebook and social media have changed the way people interact and have relationships with one another – no doubt about it. We all know the benefits of Facebook for keeping in touch, feeling connected to others, sharing information. → Feeling everyone else has more fun, has no problems, has more friends, etc. Mixed results: Some studies show Facebook helps people feel connected to other people and can increase a sense of well-being. Studies also show Facebook can affect your mood – in either direction! Researchers found that for every negative post, there was an extra 1.29 negative posts than normal in that person’s social network. 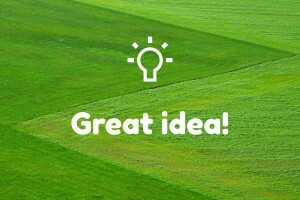 Every upbeat post caused an extra 1.75 positive posts in the social network. 1. Over half of the respondents of one study felt uneasy when they were unable to access their social media, feeling a constant impulse to check for updates, increasing stress and anxiety. 2. Additionally, two-thirds had difficulty sleeping due to anxiety and other negative emotions after they had used social media sites. 3. The constant updating of Facebook led many respondents to frequently compare themselves to others, leading to feelings of inadequacy and increasing anxiety. 4. Another study showed Facebook can increase social anxiety when a person is faced with actual in-person meetings. 5. Researchers studied 82 young, frequent Facebook users and found that when the participants increased their Facebook use, their state of well-being declined. Those who increased the amount of time they spent with people face-to-face had an increased sense of well-being. This is just a sampling of studies on negative effects of social media sites on users. On the flip side, other studies have shown Facebook to have positive effects. See this New Yorker article for more. You are not alone if you have found Facebook to cause stress, anxiety, or take up too much time. Are you feeling pressure from Facebook, or feeling over-connected to constant checking? You may want to check out the 99 Days of Freedom from Facebook online study on how life without Facebook impacts user happiness. This is a study you can participate in. I think that (as with most things in life!) finding the right balance is key. Being aware of the positive and negative effects of social media helps you make very conscious choices about what’s right for you. 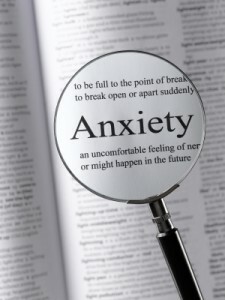 The #1 goal most of my clients have when they come to see me for counseling: Get rid of Anxiety and Be Happy. Check out this music video of the song “Happy” by Pharrell Willams from the movie Despicable Me 2. There are over 325,000,000 views of this video! (Click here to purchase – $1.29). I listen to it over and over when I need a mood booster. Music therapy has been shown to be very helpful in shifting and improving your mood, and reducing anxiety. I find this simple and playful song is an inexpensive method of music therapy that has worked for both me and my clients. Let yourself really sit and focus on listening to the words and music. Singing along outloud helps too. If you are really focusing, I bet you can’t listen to this song without a subconscious tapping along with the music…and perhaps feeling a little less anxiety and a little more happy. My biggest question is how can anxiety/stress create such scary physical symptoms? I’ve been to the doctor and they can’t find anything wrong, but I still get chest tightness, heart palpitations, dizziness, etc. Also, how do these symptoms persist even though I do not feel anxious or stressed? This automatic stress response triggers real physiological responses in your body by increasing production of certain chemicals in the brain/body/bloodstream. These chemicals are your stress hormones: cortisol, adrenaline, DHEA and a few others. We all need a certain amount of stress hormones to function normally. However, with extreme or chronic stress and anxiety, your body becomes overloaded with stress chemicals and an imbalance is created. At some point your body cannot keep up with the processing of all these excess stress chemicals, so it cannot continue functioning “business as usual.” Thus, eventually physical symptoms of anxiety appear. Anxiety or a panic attack can come up immediately in response to given situation (such as when you’re giving a presentation, or late for an important meeting, or stuck in an elevator, or faced with your fear of flying). In such cases, you’re aware that physical anxiety symptoms are a direct response to a stressor or anxiety going on right in that moment. 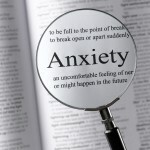 However, physical anxiety symptoms don’t always appear like that, right in the moment. They can pop up even at seemingly random times, even when you don’t feel stressed or anxious in that particular moment. It can happen while you are sitting watching TV or even while you are sleeping. 1. There is an accumulation of stress chemicals over time. When you experience continued stress or anxiety-provoking thoughts or situations repeatedly, the excess stress chemicals build up over time. You may not experience the physical symptoms until later when your body simply can’t handle the overload of chemicals any longer. It’s like a delayed or cumulative response. 2. 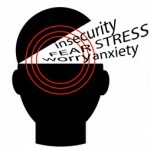 Often times, anxiety occurs in the sub-conscious part of your mind. 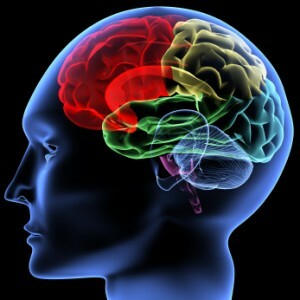 This is tricky because the word “sub-conscious” literally means “below your consciousness.” In other words, you’re not always aware of what’s causing the anxiety, and you may not be feeling anxious in a particular moment, yet the physical symptoms are your sign that chronic stress or anxiety is there under the surface (in your sub-conscious mind). 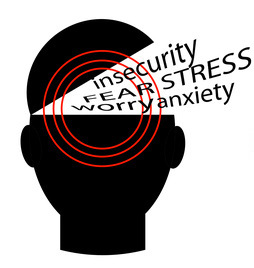 Regardless of how or when physical anxiety symptoms may show up for you, what we know is this: anxiety symptoms are triggered by thoughts and processes going on in your mind. So is that multi-tasking really such a good thing? If you play tennis with two balls, is your game really as good as it is with one ball? Writing down all of your worries in a journal can help you let go of much of the anxiety that invades your mind. Putting it all down on paper can give you a better perspective. When you allow your worries or problems to percolate in your mind, they can multiply and become much larger and more confusing or daunting in your head than they truly are. 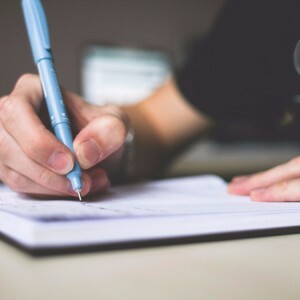 When you get them in writing, you can begin to use your logical, analytical mind to do some productive problem solving. Having the same worries rolling ’round and ’round in your mind is unproductive. It’s easier to exaggerate problems when anxious thoughts stay in your head instead of moving out onto a piece of paper…especially with those “What If” thoughts. [Is “What If” ever followed by something POSITIVE???] It’s easier to exaggerate the likelihood or the probability of those What Ifs coming true when they are swirling around in your mind. Write worries down, close the notebook, and walk away (literally and figuratively). Right before bed is a great time to do this to clear your mind for a good night’s sleep.